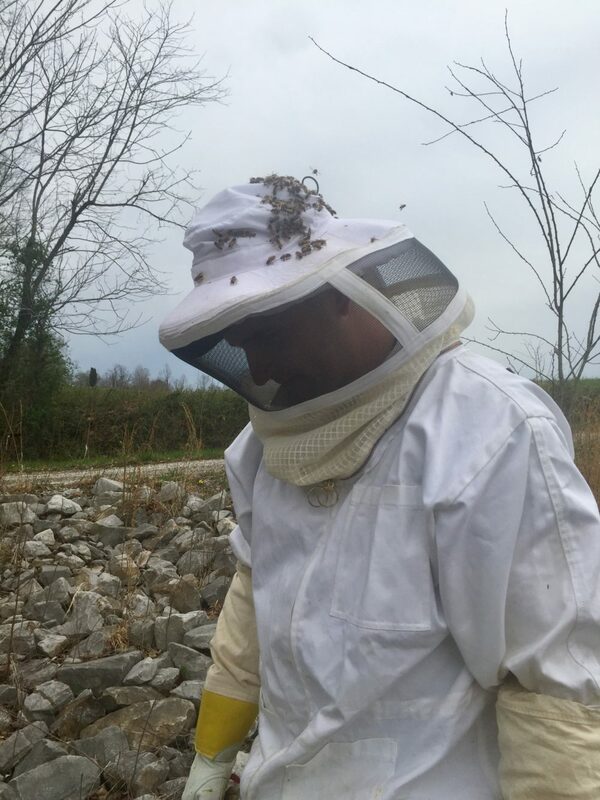 Our first year as beekeepers in Western KY offered many learning opportunities. Yesterday marked the first day of the beekeeping season for us, and we haven’t stopped buzzing with excitement since. Real estate– “location, location, location”– is everything for bees. 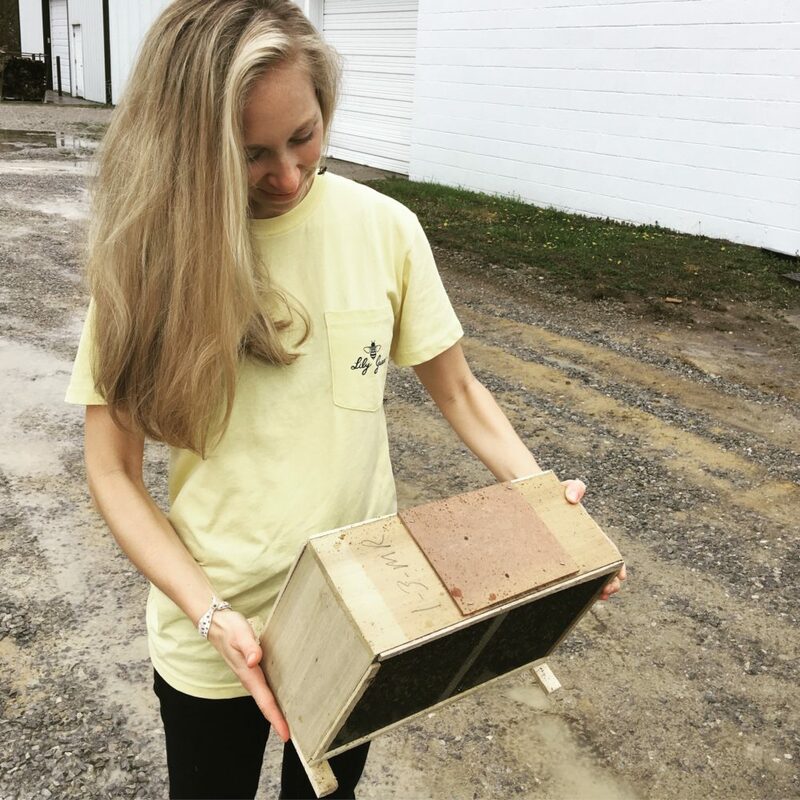 OK, maybe not everything….I’ve seen hives thrive in abandoned garbage cans and in rotten telephone poles. The fact one of our hives didn’t think their placement in dappled sunlight along a creek bank was the bees knees has led us to believe that direct sunlight is the optimum location for establishing a new colony. Long story and multiple struggles aside, the bees are amazing little survivors. They don’t (or can’t!) put up with a home not suitable for them. They pack up and head out for somewhere that is better suited if the beekeeper doesn’t to take a hint or two. Every bee in the colony has a job, and throughout the life of a worker bee that job changes. New worker bees hatch and clean their cells from which they emerged in preparation for new eggs. The worker bee’s first job as a nurse will be to care for the eggs, pupae, and larvae. After caring for the young, the bees then switch to a sort of undertaker. Dead bees laying around in a hive would be unsanitary and set the stage for disease, so they must be removed promptly. By now, the worker bee’s wax glands have matured and she may become an architect of the hive and build the complex and beautiful wax. Then that same bee is put on duty to either remove the pollen from her incoming sisters to store in the cells, or to be put on the “honey line.” Bees on honey duty excrete a digestive enzyme mixed with the pollen/nectar and fan it rapidly with their wings to make the sweet, sticky good stuff. The next stage in life for the worker bee is to finally step out of the protection of the hive and begin the dangerous roll of foraging. These are the bees we see flying about collecting pollen and nectar for the hive, risking pesticide and predator. If she survives her role as forager, she will then return to the hive and finish her life as a guard bee. By now, her stinger is fully developed and she guards against intruders and acts as gatekeeper. Other bees in the hives are the drones (male bees–their only job is to mate with the queen), the queen (responsible for the order and vitality of the hive), and her attendants (about a dozen or so prestigious worker bees). Every role is necessary. Every bee has a purpose. Sometimes those roles change, but everyone works for the betterment of the hive. Self explanatory, right? When the top comes off of a hive, essentially a giant just ripped off the top of their hard-earned home. With power in numbers (there are up to 100,000 bees in one hive at the peak of summer!) and mob-mentality, who wouldn’t get a little brave? For 1-pound of honey to be produced, bees must tap approximately 2 million flowers. Each worker bee only produces about 1/12 of a teaspoon in its life. People benefit so much from the little bee. Specifically, the honeybees pollinate about every third bite of food we eat. Approximately 80% of the food in a grocery store has some link to the honeybee and her pollinating services. And let’s not forget the other products derived from the bee’s wax, propolis, and royal jelly. 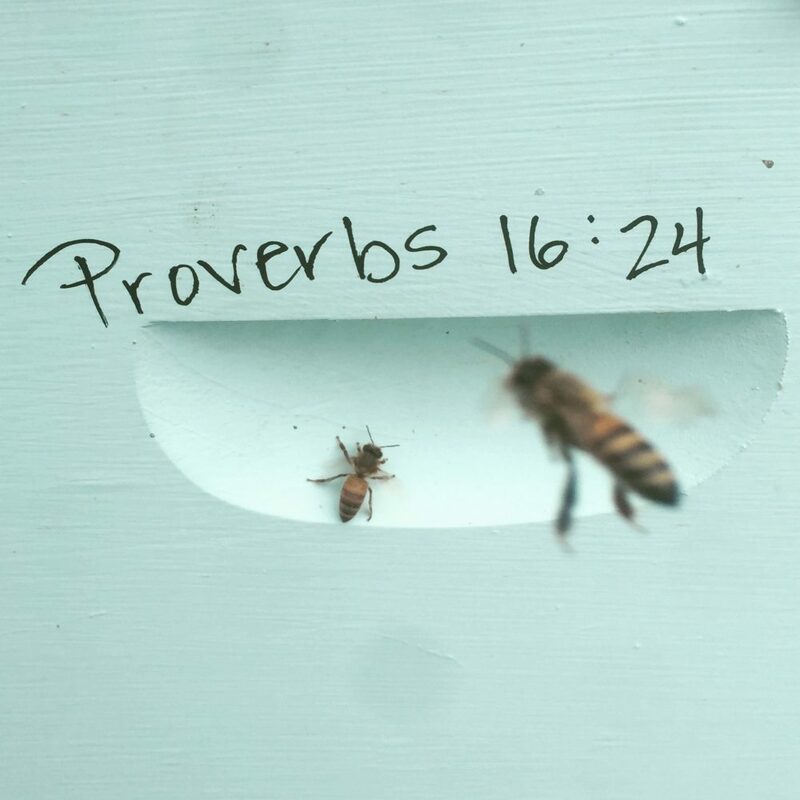 May each honeybee you see this Spring bring you sweet reminders of His Word and His promise– you are so loved. Picking up a package of bees! 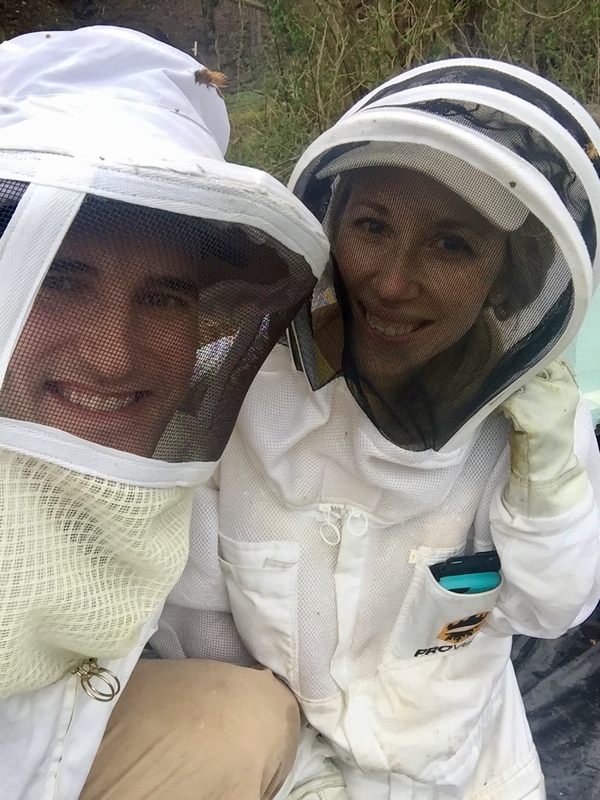 Neena, so cool that beekeeping season has started! I admittedly don’t know a ton about this and am excited to learn more from you. Beekeeping! You’re my hero!!! So cool! 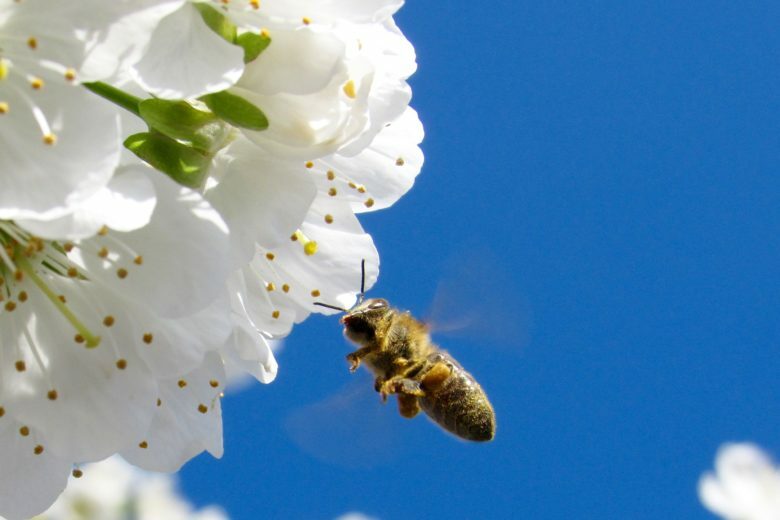 Even better that you glean lessons from these busy ummm… bees! 😉 Such wisdom for my home, too! #1 is so true for this Army family… We’ve lived all over and it always feels like home because we’re there together! Blessings! Liz, I’ve always had such a heart for army families! I’m not sure how ya’ll do it, but thank you! My husband played professional baseball for 7 years– when we were all able to be together, where ever it may have been, it was home. Blessings to you and yours! Chickens and bees are a great compliment for one another! Hope you enjoy the farm-life! This is so interesting! We’re all apprecative for all you do to care for our bees! This is too cool! Hope to see more this season.